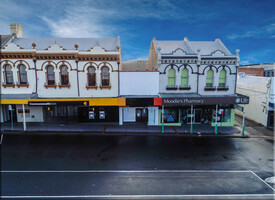 9 Commercial Real Estate & Properties in Bathurst are listed in 5 categories. We have 3 Retail ShopsSale , 2 Industrial Warehouses Sale , 2 OfficesSale , 1 Hotels and LeisureSale and 1 Development LandsSale . Carefree Investment Opportunity $795,000 plus GST if appl..
Modern building constructed in 2011 and is currently split into two tenancies all within walking distance to CBD being only 2 blocks away from the Post Office. Offering three off street car spaces for the tenants and ample street parking out the front of the building. This property provides both tenancies with individual kitchenettes and a shared toilet facility. With a total annual income of $56131 .00, this property is worth an inspection with long standing tenants. One tenant is in a current lease, and the other on a month to month lease. This property is ideal for the investor or owner occupier alike. Under Instructions From Liquidator  Must Be Sold Auction Friday 21st Septe..
Prime investment opportunity to secure a prominent CBD premise next door to the CBA bank. Currently split into two tenancies with a combined potential income of approx $70,000 pa. Long standing secure tenant at the rear, with the front office area currently vacant offering welcoming reception area, numerous existing offices kitchen/meals room, storage area plus own amenities. This location has been home to successful businesses. Approx 360 sqm in total size with both tenancies. Vacant portion approx 180 sqm. This is a fabulous opportunity to secure a CBD location for the investor or owner occupier. 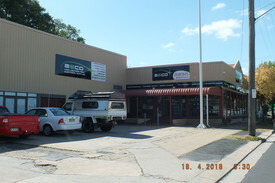 Industrial block on the fringe of the Bathurst CBD. Offering approx 4.1 acres of industrial land, combined with numerous sheds and office area. This property ticks all the boxes, complete with office area located at front of block approx 145 sqm, hard stand entrance and driveway to the 3 sheds. Large warehouse shed approx 480 sqm, with the ability to hold 33 tonne beam crane and complete with 3 phase power. Separate workshop/storage shed with two roller doors approx 396 sqm and smaller machinery shed, ideal for welding approx 80sqm. All the hard work has been done, and is ready to occupy. Industrial blocks of this size, so close to the CBD are a rare find. 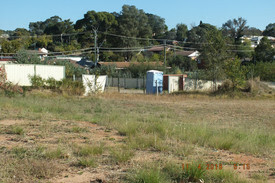 Ability to purchase adjoining rear block of another 3.7 acres. 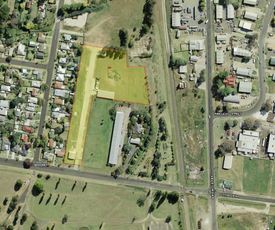 Rare opportunity to secure approx 3.7 acres of industrial zoned land just minutes from the Bathurst CBD. This land is just needing a developer to capitalize on its potential. Inspect today and relocate your business to the fringe of the Bathurst CBD, opportunity to build your own workshop area, or ideal for the astute investor for a storage shed complex. The Possibilities Are Endless $980,000 (plus GST if app..
Heart Of The Cbd $798,000 plus GST if appl.. Luxury Bathurst Cbd Unit Complex Auction Friday 24th March..